October 4, 2017 24 Comments This post may contain affiliate links. It is hard for me to tell you how excited I am about this project. I make a lot of stuff and decorate a lot of rooms, but this makeover is so near and dear to my heart. 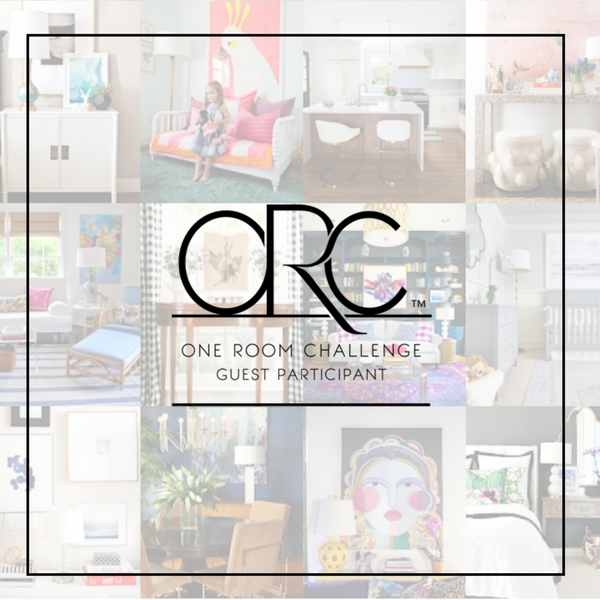 I have never participated in the One Room Challenge and in case you haven’t heard of it, it’s a decorating challenge hosted by the blog Calling It Home. You have six weeks to transform a space in your house and once a week everyone participating shares the progress of their space along with tips and sources for the products they are using. 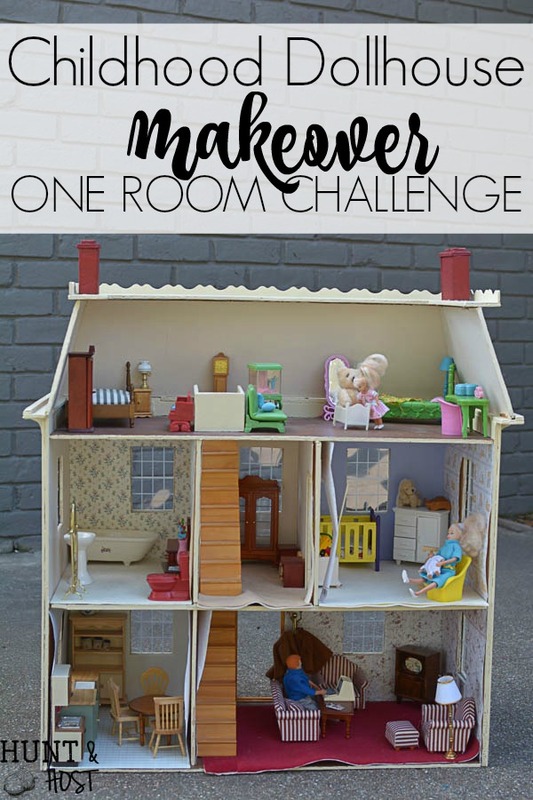 I will be participating as a guest in the One Room Challenge and I am adding my own twist to the challenge by making over the bottom story of my childhood dollhouse. 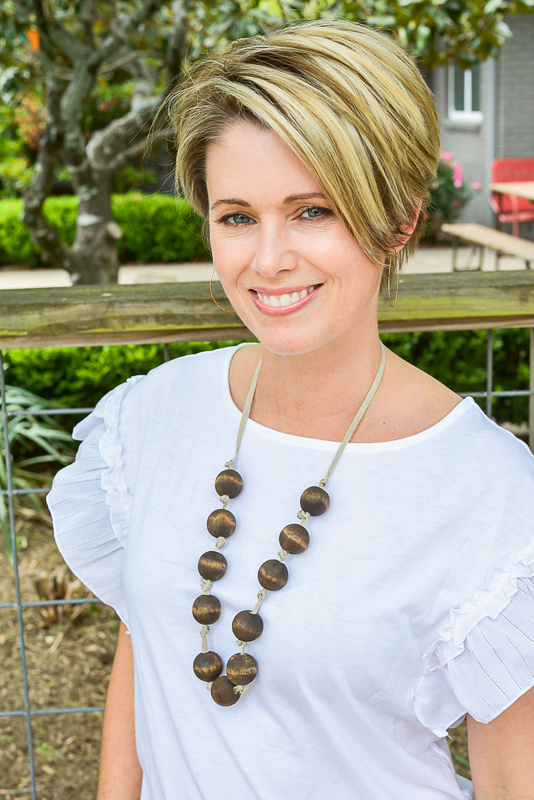 I sincerely hope you’ll follow along on this makeover journey. 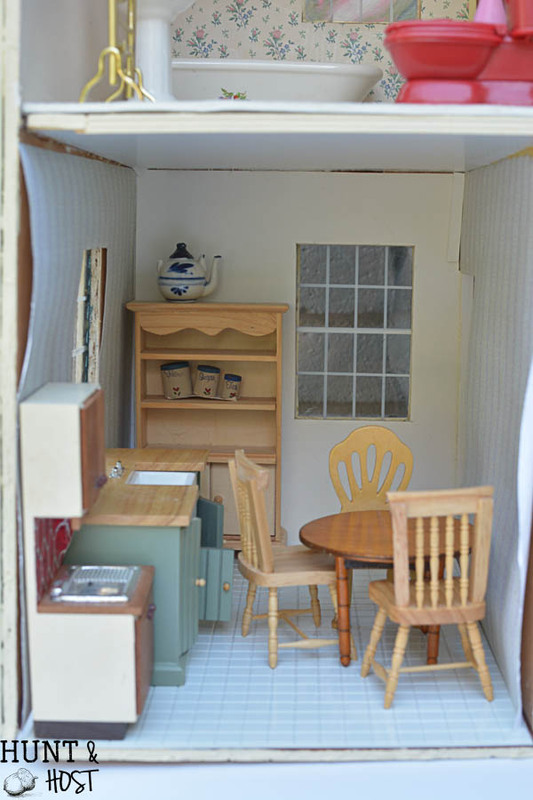 I am thrilled to tell you I’m partnering with Miniatures.com on this makeover and they are sponsoring the transformation of my childhood dollhouse! Today I am sharing my thoughts and goals on this space, but we have to look back before we move forward. 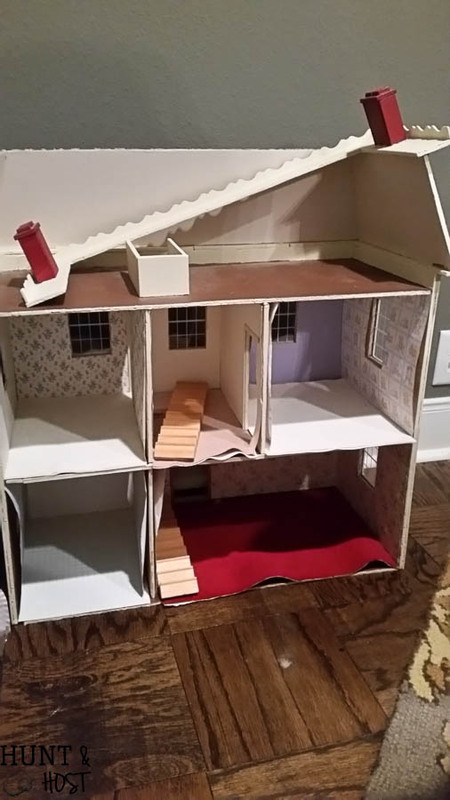 This project is so important to me because this dollhouse was a gift to me as a young 5 year old girl from my grandmother. My Neena, as I call her, is my mom’s mom and she has always been a joyful light in my life. Unfortunately, my Neena suffers from Alzheimer’s and though her body is still strong at age 93 she doesn’t recognize my mom or her sisters, much less me or my children and hasn’t really for years. Every child in our family that came along after me played in the dollhouse Neena built. My nieces AND nephews, my daughter AND my boys. 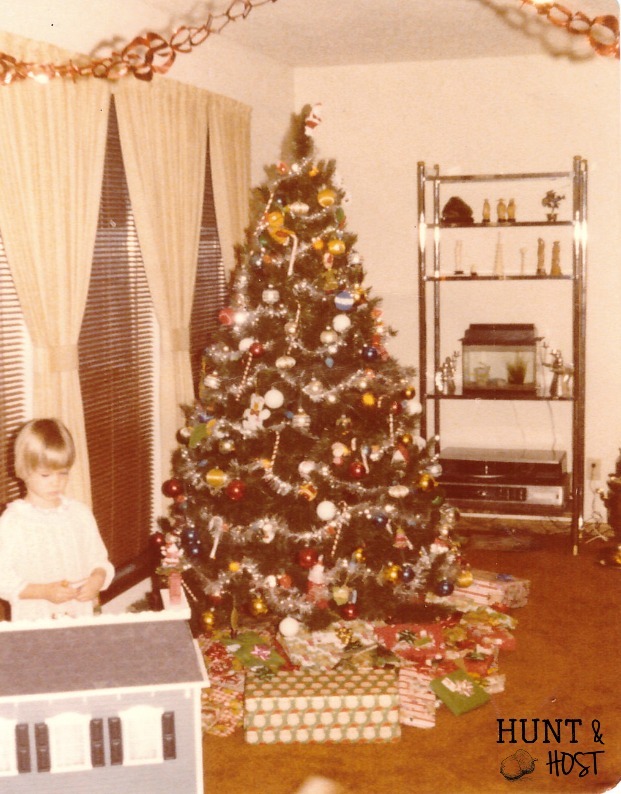 Every child that entered my parent’s house has spent time moving furniture, walking little people up the stairs and making believe in a way kids hardly do anymore. The years and the play have been rough on the house and while it has had one or more makeovers it’s time for a complete overhaul. The house has been moved from my mom’s house to mine and I hope the joy will continue for the children that enter our doors. 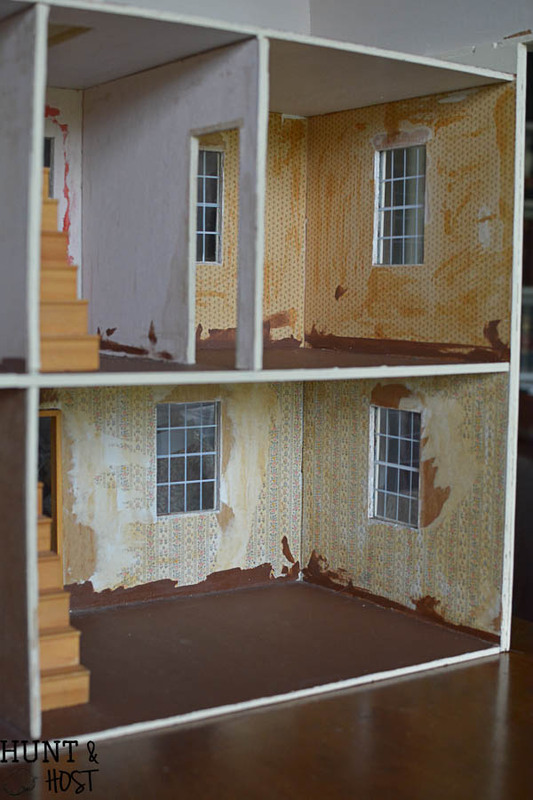 My vision for the dollhouse is to make it into a mix of style I dream about and a reflection of our home now. You are looking at the dollhouse all set up like my kids have played with it in recent years, the “before” pictures! Over the next five weeks you will see DIY done on a small scale in the kitchen and living room as I build these rooms from the ground up! 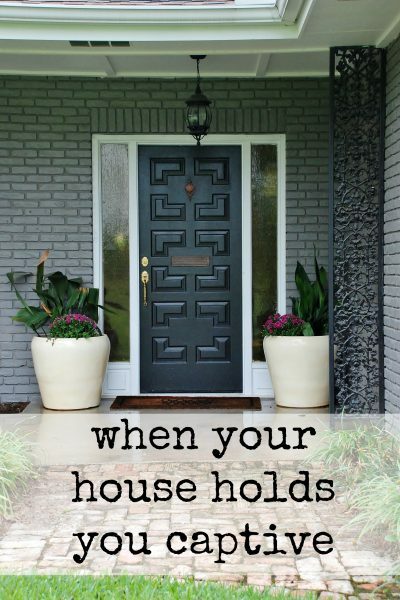 I am hoping to show you real life options in case you want to incorporate any ideas you like into your real life home or maybe you will be encouraged to build a family heirloom like my grandmother did! 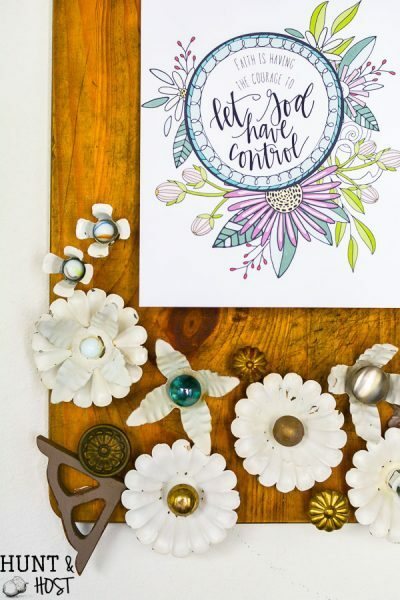 It’s going to be so fun to decorate an entire house, completely fresh…when was the last time you go to do that!? The One Room Challenge will only highlight the bottom floor and then over the next few months I will finish out one room at a time. I have this beauty plopped in the middle of my living room next to the boxes of broken stuff my mom passed along and a whole head full of ideas. I’ve already been shopping on Minatures.com for furnishings, finishes and accents…it has been a complete blast, they have THE CUTEST stinkin’ stuff! 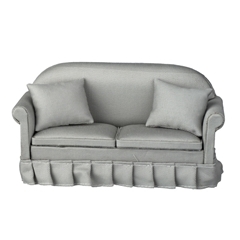 Like this couch…all the googley heart eyes!! For the living room I will be transforming the floors into wood planked floors, you may or may not see some shiplap, an Ikea style couch and a few furniture flips, just like I would do in my own home. New curtains, pillows and wall décor, plus a staircase update! 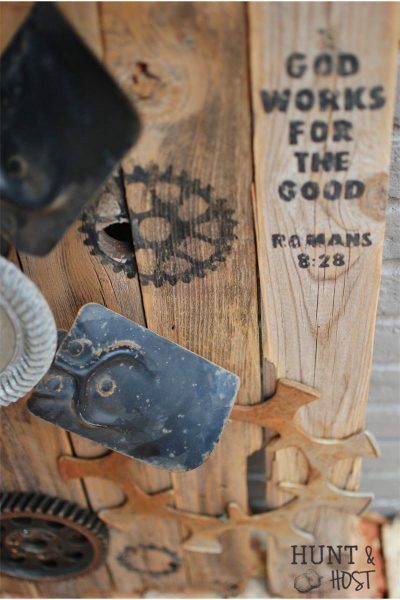 Thanks Anne – I am so excited about this project!!!!! I can’t wait to see what you do with this! What a wonderful way to keep sweet memories alive while making new ones! I am excited, it has so much potential and you can do so much on a small scale! You are going to have so much fun with this! 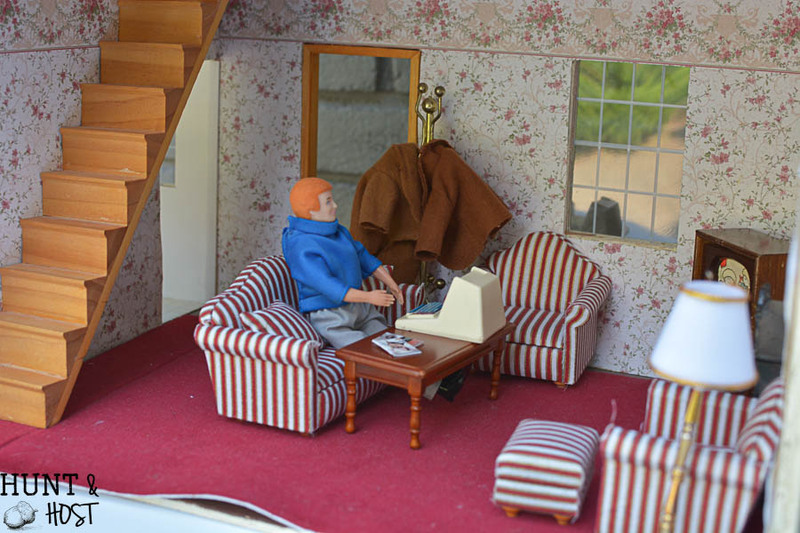 My friend has a beautiful dollhouse (huge) that her dad made her and she has turned it into a little fantasy. The style is sort of colonial, and I love just looking at all the tiny furniture, dishes, photos on the wall, etc. Can’t wait to see what you do with your! thanks, I bet hers is awesome. I can’t wait to decorate it for the holidays once the main overhaul is complete! What a totally wonderful, unique, and adorable idea! You go, girl! 🙂 thanks, so glad yall like the idea, wasn’t sure how it would go over! how fun! i love this twist! thanks – I thought it would be fun and get me motivated!!! 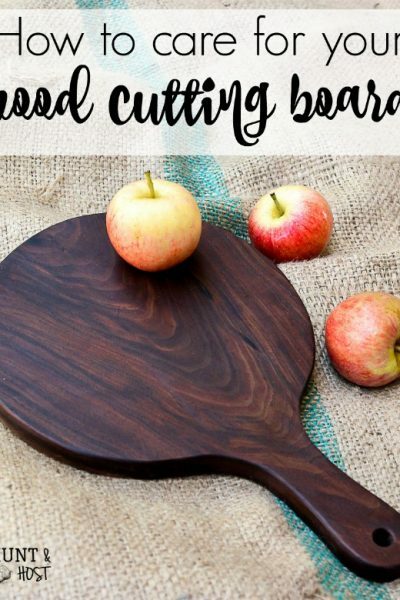 Oh what a fun project! 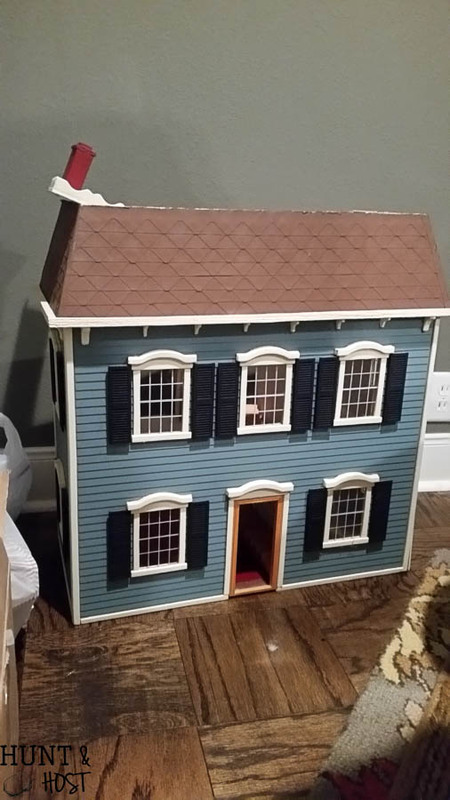 I can’t wait to see how you transform this sweet doll house! thank you I am SO excited!!! Kim, what a sweet idea! 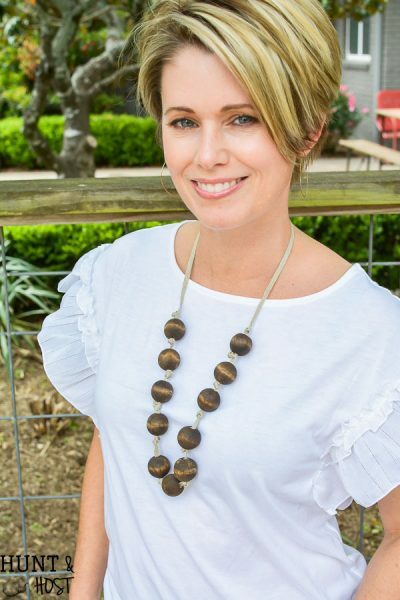 Restoring the playhouse is not only giving the generations to come something to play with but provides a sweet time to share stories about Neena, the one who built it. Her legacy being passed along not just the dollhouse! Can’t wait to see the progress. aren’t they fun? I am suddenly obsessed and looking at everything miniature! I’m loving seeing these photos of you as a little gal! I see your #3 so much when I see these photos. So cute! The herringbone floors are my fave idea so far. Pattern is my BFF. awww, you think so? I definitely think he takes after my mom’s side of the family 🙂 love me some pattern too! 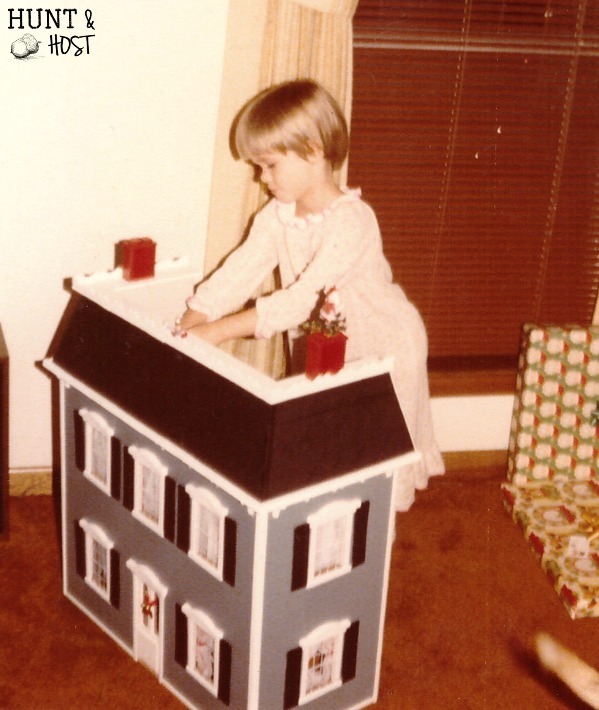 I have the same miniature dollhouse that my dad helped me build when I was a young girl. Over the years, I’ve taken it with me wherever I moved, and sadly, for several years I kept it in a closet, just too busy to do anything with it. I’ve always loved miniatures and the details in them. I recently took it out again and my husband decided we needed to take it apart and rebuild it as it was not very sturdy, it even had lights inside. So at this time it’s laying in pieces and we will sand and re-glue, and redecorate. I don’t get a lot of free time with the kiddos and their schedules but it’s something I’m looking forward to. It will be fun seeing what you do to yours. So sorry about your Neena, but like you said, she is out of her earthly body that played such tricks on her. And I am so excited to see the end project of your doll house!! Great memories for all of you!! So sad to hear of the passing of your precious Grandmother. 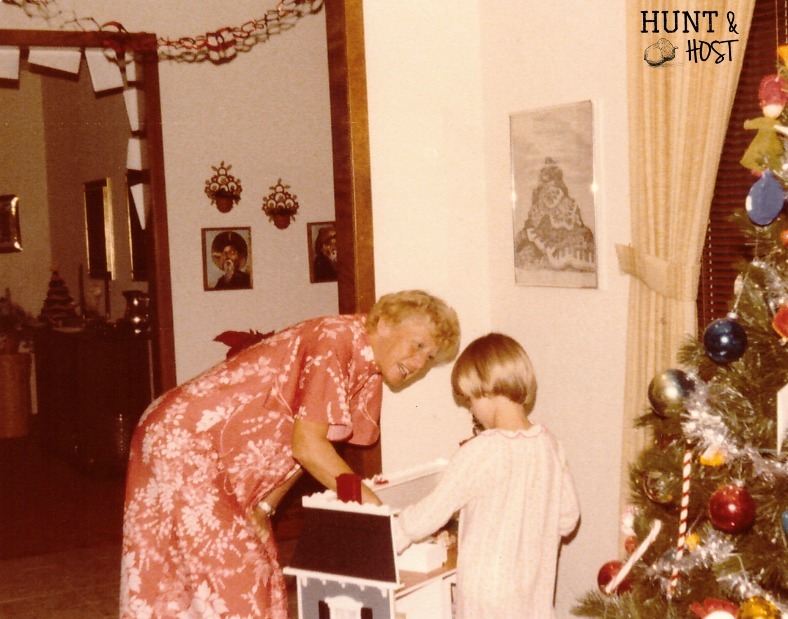 Those of us with fond memories of our Grandmothers feel your loss. But she hasn’t died – just passed – to her heavenly home. And what a comfort God gives us to know she’s probably making beautiful doll houses in His presence.